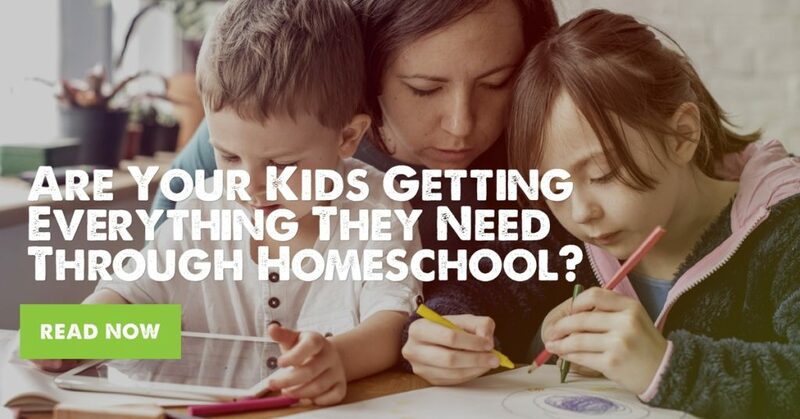 Are Your Kids Getting Everything they Need from Homeschool? Home Best Homeschool Curriculum Are My Homeschool Resources Filling My Kids’ Educational Needs? “No school today?” says the woman at the museum. “No, I’m homeschooled.” my son responds. “Oh, wow! Good for you,” she says looking my direction. “I could never do that! Are you a teacher?” she asks. I tend to respond with something like “No, but it’s not as hard as it sounds,” or “there are so many homeschool resources out there these days, that it’s no big deal.” The way I look at it, not having a teaching certificate doesn’t mean you are not qualified to teach. What’s important in my mind is that I am my child’s parent. Therefore, no one cares or loves my child more than I do, so naturally I’ll go the extra mile to make sure my child’s educational needs are being fulfilled in a homeschool setting. Some may be curious to know what their state requires of homeschoolers or how to go about making sure your child isn’t missing out on any subjects. You can search my website for homeschool requirements and find your individual state’s requirements online. Once you’ve determined this, it’s time to search for a curriculum. I’ve found that the best homeschool curriculum tailor to the learning styles of your child. On my website, you can also read about different homeschool curriculum to determine which is best for your child(ren). Most states will require you teach a list of subjects based on the child’s age or grade. It usually consists of something like language arts, math, science, health, physical education, art, and computer science just to name a few. On my website, you can find many free homeschool resources to teach these subjects and read more about subject curriculum. What Do I Want My Kids to Gain? In addition to determining academic requirements, consider what you want to accomplish through your choice to homeschool. Some of the reasons you may choose to homeschool are to teach your child your values and morals,to have more flexibility in your schedule, because it takes less time than traditional school hours, or you have the opportunity to allow your child to excel at a faster rate than he or she would in the school system. The best homeschool curriculum and homeschool resources are those that give you the freedom to influence your child for good in all areas. Sign up and become a member of my website, to find more ways you can benefit your child for good by choosing to homeschool. Previous Post How Do I Make Sure Everything is Covered Academically? Next Post Are the Advantages of Homeschooling Right for My Kids?